The Missoula County urban area land use map is in its final stages of becoming part of the Missoula Growth Policy, aiming to guide growth and development for decades to come. The color-coded map and its Land Use Element include 15 land use designations, which address housing, commercial development, agriculture and other uses. The designations will guide where certain infrastructure and development will be placed, while keeping in mind community values. During a Missoula Consolidated Planning Board meeting Tuesday night, members of the public both praised Missoula County Community and Planning Services and raised questions and concerns relating to the map. “We don’t want this policy document to just sit on the shelf, we want the county to try to execute it,” Andrew Hagemeier, county planner and mapping project manager, said. Missoula County adopted its first land use map in the 1970s, when there were about 58,000 people in the area. The population doubled over the years to 117,000, and looking to the next 20 years, Missoula County is expected to grow by another 30,000 people. If adopted by the Missoula County commissioners later this year, the map will be a part of the county’s 2016 Growth Policy, which will be used as a planning tool for the next 20 years. Along with the map, Missoula County Community & Planning Services also drafted an implementation strategy that talks about possible future infrastructure changes as well as codes and coordination to help manage growth. Hagemeier said the county should use infrastructure that is already available to plan for growth. However, systemic changes will need to be added, especially if development involves the city of Missoula. “Most of the infrastructure that is required, such as sewer and water, is not in our control, it’s in the city’s control. So we’re going to have to plan for some new infrastructure in the planning areas to be able to accommodate this growth and development,” he said. In addition to adding sewer and water to new developments, other potential outcomes include a road grid east of the airport and west of Reserve Street between Mullan Road and Broadway Street, improving pedestrian usage of Highway 200 in East Missoula and others. Having a variety of housing types in the city is another goal, he said. “This is just a policy document. 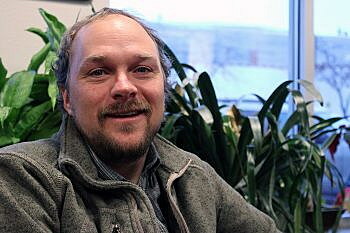 The land use map doesn’t do much on its own, it has to be implemented,” Hagemeier said. 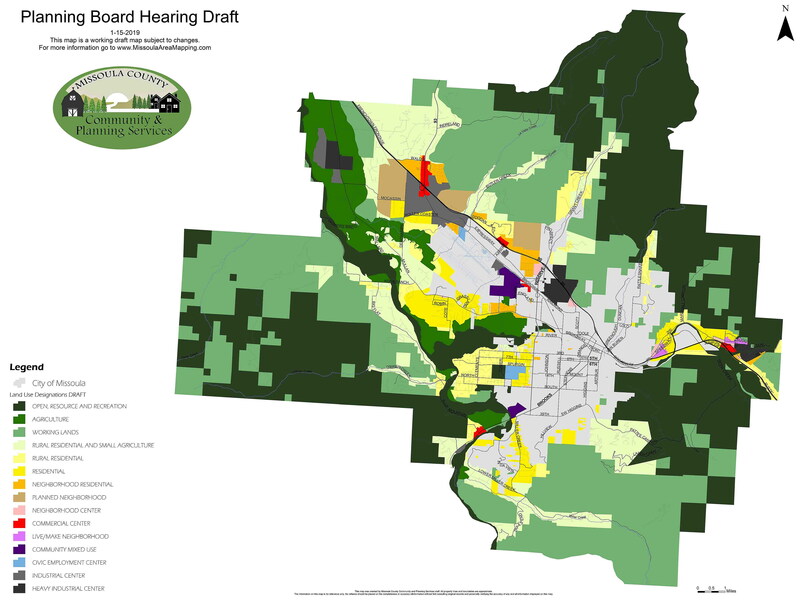 About a dozen Missoula County residents spoke to the board about the map, including Bonnie Buckingham, executive director of the Community Food Agriculture Coalition of Missoula County. “This Land Use Element and map designations specifically recognizing the need to conserve agricultural land shows the commitment on the part of the county for the first time to conserve our best soils and recognize agriculture as the asset that we know that it is,” Buckingham said. She said the land use map complements other policies put forth by the city and county, including the Missoula Growth Policy, the county Growth Policy and the recently passed open space bond and mill levy. Lee Bridges, chair of the East Missoula Community Council, lives in an area that does not have a zone designation along Highway 200. In the next 10 years, the area could be annexed by the city. The county has allowed the area to have a Live/Make land use designation, which allows residents to maintain shops or small businesses on their property. “We appreciate the fact that the county has come to us and permitted us the opportunity to work with us and understand that we have a very independent and unique community. We don’t want to lose our identity,” Bridges said. The Consolidated Planning Board will hold another public hearing on Feb. 5 in the City Council Chambers at 140 W. Pine St. Comments about the Land Use Element or map can be emailed to CAPS@missoulacounty.us or mailed to CAPS, 200 West Broadway, Missoula, MT.